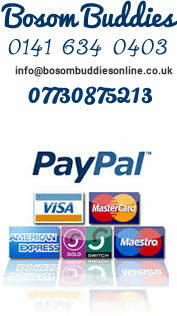 Welcome to Bosom Buddies - “The Bra Lady ” home fitting and advisory service since 1993. Bosom Buddies has been helping breast-feeding mums exclusively for the past twenty-five years, using quality Emma Jane maternity nursing bras and tops that are a trusted name in nursing underwear. Convenient Internet ordering via our online shop is now a part of our service but please remember that help and advice is always available by phone or e-mail. Home or hospital fitting is available in Glasgow, Stirlingshire, Ayrshire, Lanarkshire and Renfrewshire. Appointments outwith a 25 mile radius are subject to a minimum fuel charge. Our range of stock includes nursing bras, maternity bras, nursing sleep bras, nursing tops & vests, maternity pants & briefs as well as related maternity accessories. We also provide a useful measuring guide for pregnant or nursing mums who need help deciding which of our Emma Jane maternity nursing bras will provide the best fit. 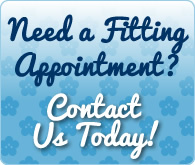 If you would like to seek advice before you make a purchase via our online nursing bra shop, or if you would like to make an appointment for a home or maternity ward fitting, call 0141 634 0403/07730875213. Princess Royal Maternity Breastfeeding Workshop, Glasgow (G31 2ER) - 1st & 3rd Wednesday of every month. Royal Alexandra Hospital, Paisley (PA2 9PN) - Every Tuesday from 6pm. QUEH, Glasgow (G51 4TF) - Tuesday fortnightly. Victoria Infirmary Clinic J, Glasgow (G42 9TY) - Every Thursday morning. West Maternity Care, Yorkhill - generally last Friday of the month but times may vary, please check with your Midwife.